The IPCC warns that the window to keep global temperatures down to less than 2°C is rapidly closing. Can the Philippines help reduce greenhouse gases (GHGs) in the atmosphere, even as it seeks to accelerate national development? 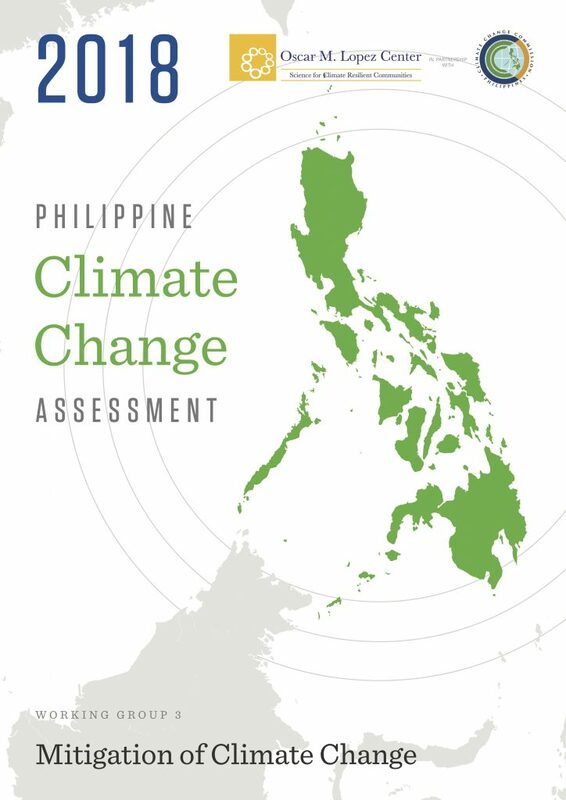 The Oscar M. Lopez Center, in partnership with the Climate Change Commission, recently released the Philippine Climate Change Assessment Working Group 3 (PhilCCA WG3) Report. The report is the first-ever comprehensive assessment of scientific literature on climate change mitigation in the Philippines. Authored by some of the country’s leading scientists, the report highlights that while the country is an insignificant emitter, contributing only 0.3% to the global GHG emissions, its emissions will rise in the future. Without the land-use change and forestry sector (LUCF), the trend in GHG emissions is increasing over the years — with the energy sector as the biggest contributor. The report also presents the Philippine national GHGs inventories from different sectors: energy, industrial processes, agriculture, LUCF and waste. A major gap in information exists since there is no recent national GHG emissions inventory. The current GHG emissions and carbon sequestration should be estimated to compute for the country’s net GHG emissions. In terms of institutional arrangements and policies related to mitigation, the report emphasizes that relevant policies and measures are in place. These can be further improved as the country progresses towards a low carbon economy. From these policies, different approaches to climate change mitigation in key sectors, as well as initiatives to build local capacity for low emission growth, have emerged. The assessment also covers mitigation pathways and measures in the context of sustainable development. The report recommends the evaluation of co-benefits and trade-offs from the different mitigation pathways as one of the research and policy areas. This should be given emphasis to further the country’s efforts in climate change mitigation. Assessment of the institutional and organizational capacity for implementing prescribed mitigation pathways is also deemed relevant before investing resources in their full implementation. The WG3 Report is the third installment of the three volumes of PhilCCA. The WG1 Report focuses on the “Physical Science Basis” of climate change and the WG2 Report covers climate change “Impacts, Vulnerabilities and Adaptation”. Visit the PhilCCA page of the website to access copies of the reports.